The new Logan McRae novel from the number-one best-selling author of The Missing and the Dead and A Song for the Dying. But it's not going to be easy: a new superintendent is on her way up from the Serious Organised Crime Task Force, hell-bent on making Logan's life miserable; Professional Standards are gunning for Steel; and Wee Hamish Mowat, head of Aberdeen's criminal underbelly, is dying - leaving rival gangs from all over the UK eying his territory. While MacBrides books can be at times painfully violent, if you can listen to the first scene then you too can become a McRae fan. In this book a lot of story arcs that had been going on for several books in the series get a wrap up-- and some others are introduced. That means it may not be the best place to start the series. However, I'm not sure if Audible has all of the unabridged books on the US site. 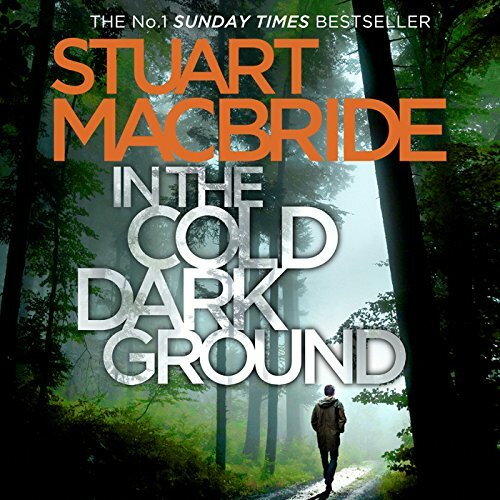 You have to listen to them unabridged if you really want to appreciate MacBride's tartan noir. There's a shake up in how characters are presented-- who would have guessed that Napier of Internal Affairs-- well, I'm not going to spoil this, but it's a surprise. DI Roberta Steele has a very rough time in this book. But not as rough as crime boss Wee Hamish, who keeps trying to stave off a bloody struggle for his empire. Then there is McRae's girlfriend who has been in a vegetative state for the last few books. And poor old McRae as usual, who seems to rarely catch a break. The ending is a bit of a cliffhanger-- but the type that whets your appetite about where the series is going next rather than the type that makes me want to jump up and down on my Kindle Fire. Narration is excellent and adds to the story. In the Cold Dark Ground is another another dark mystery# with so many layers it catches you and won’t let go. Tagsgiving# makes me laugh out loud. I think he writes in Scotland and it has to be cold and dark much of the time. But MacBride doesn’t seem fazed by it. His mysteries have solid characters that I’ve begun to love. The thread of the story stays strong# and once I start one of his books, I can’t let go! Love this series but with thisbok mot particularly happy dith Logan Mcrae. Hope he redeems himself in the last book. This is a fine author, these books have become a favorite of mine. Some involve subjects not to my liking - those involving the mob, for instance - which I cannot read seriously nor rate .... But I find the writing intelligent, humorous, tightly plotted. These are fine books for serious mystery fans. MacBride develops characters like no one else!!! Lumps and all ... Quite lumpy are his characters and they will make you laugh out loud. The narration is amazing and I can't imagine not listening to the books with the appropriate Scottish accent. My only regret is that the next book isn't written yet. MacBride always seem to finish the tale ....but leaves you wanting the next bit RIGHT NOW!!!! ... And that isn't happening and unfortunately I am as patient as Steel!! Never finished the book. Awful story line, awful narrater , awful book! Do not recommend! 0 sur 6 personne(s) ont trouvé cet avis utile.